Home » Cord Cutting » Streaming » TV Streaming Services » VUDU Review: What is VUDU? VUDU Review: What is VUDU? VUDU is an online streaming service that allows users to buy or rent movies as soon as they are available on Blu-Ray or DVD, and sometimes even earlier. VUDU also makes current seasons of TV shows available for purchase, so it’s a great source for those wanting to stay current with shows on cable. VUDU was acquired by WalMart in 2010 and is used as the companies primary video content distribution platform. VUDU doesn’t require a paid subscription as customers simply need to sign up an account and purchase content a la cart similar to Amazon Instant Video or iTunes. VUDU acts as a video library to digitally house your TV shows and Movies. Signing up is easy. VUDU is integrated with Facebook, so you can use the “Sign up with Facebook” option. You also have the option of creating a VUDU account. There is also the option to use a Walmart.com ID, as VUDU is owned by Walmart. When registering your account, you are given the option to sign up for Ultraviolet. Ultraviolet is a digital rights library that allows users to buy movies and TV content, which can be watched almost anywhere. For instance, if a movie is purchased from an Ultraviolet supported service like M-GO or Flixster, it can be watched on VUDU as long as it’s linked to your Ultraviolet account. The same is true of movies purchased from VUDU being watched on other Ultraviolet supported services. One benefit I like about Ultraviolet through VUDU is the ability to share movies. VUDU calls this feature My VUDU. With My VUDU, users can configure their Ultraviolet library to be shared with up to 5 people. This can be done from the “Services” menu when logged in to your VUDU account. Be mindful that there is also a device limit. Once you invite friends and family, they then create their own VUDU accounts and link to your UltraViolet Library. They will then be able to stream or download the UltraViolet movies and TV shows in your collection. 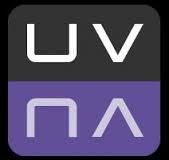 To ensure a movie supports Ultraviolet, just look for the logo below. Unfortunately, there are some major providers not playing in the Ultraviolet ecosystem. The most notable are Google, Amazon, and Disney. However VUDU does support “Disney Movies Anywhere”, so any Disney, Marvel, Star-wars, or countless other properties can be linked on VUDU. You can link your Disney Movies Anywhere information from the “Services” Menu when logged into your VUDU account. After signing up I’m immediately impressed by the selection. Most newly released to DVD and Blu-Ray major motion pictures are available to both rent and buy. Furthermore, new movies are available for purchase before the official Blu-Ray and DVD release. Once the movie is available for purchase on DVD and Blu-Ray, VUDU appears to offer the film for purchase at prices similar to what one would find in a store. Furthermore, many of these are available for rent for prices ranging from $2.99 to $5.99 depending on the age of the film. Movies are available in Standard Definition, HD 720p, HDX 1080p, and 4K Ultra HD. There are also a few movies available in 3D. For anyone looking to move to a digital movie collection, VUDU appears to be a great choice based on the selection available. VUDU also offers frequent movie deals and bundles where you can buy a complete series of movies for a discounted price. At the time of this post, they were selling all 4 of the Transformers Movies for under $20. VUDU makes a number of current TV shows available for purchase. You can order the complete current season of The Preacher, Fear The Walking Dead, and many more. Purchasing a season makes the current episode available for streaming one day after the episode airs on it’s regular network. Full seasons of shows start as low as $20. This makes for a very affordable method of watching current TV shows on cable without having a cable TV subscription. Let’s assume the average season costs $25 on VUDU. If you follow 10 cable TV shows a year, then that breaks down to less than $20 per month. That’s much cheaper than paying a cable TV company to watch those shows. Furthermore, you own the TV shows, so you can watch them whenever and as many times as you want. VUDU also seems to allow you to watch the 1st episodes of some shows for free. I’m certain this is in the hopes to get you to buy the complete seasons, but I’m not one to complain about free content. I’ve personally had very few problems when using VUDU. There is the occasional buffering and picture distortions, but they are infrequent. While VUDU delivers good service quality, it is a step behind industry leaders like Hulu. Be aware that there have been quite a few complaints regarding VUDU service quality when searching the web. I still recommend trying the streaming service for yourself, as some of those issues could be based on the reviewers network. The ability to share movies and TV shows with My VUDU makes VUDU worth a try. I recommend signing up. It’s pay per purchase, so there is no commitment or subscription fees. VUDU also appears to adopt the “Buy Once, watch Anywhere” approach, which I feel is key for more people to adapt to watching movies online. VUDU’s promotions need a little work, but the selection of movies available is hard to beat. If interested, you can sign up with no obligation through my VUDU affiliate link below. For more information on cutting the cord, check out my post on watching TV without cable.